Hi everyone! Glad you're joining me for my weekly post here at Paper Crafter Anonymous. If you ever have questions about my projects or want specific ideas on a stamp set. Just give any of the Design Team a holler and we'd be happy to help. I know we haven't hit Thanksgiving yet, but I've already started thinking about Christmas crafts...have you? I started with making some tags. 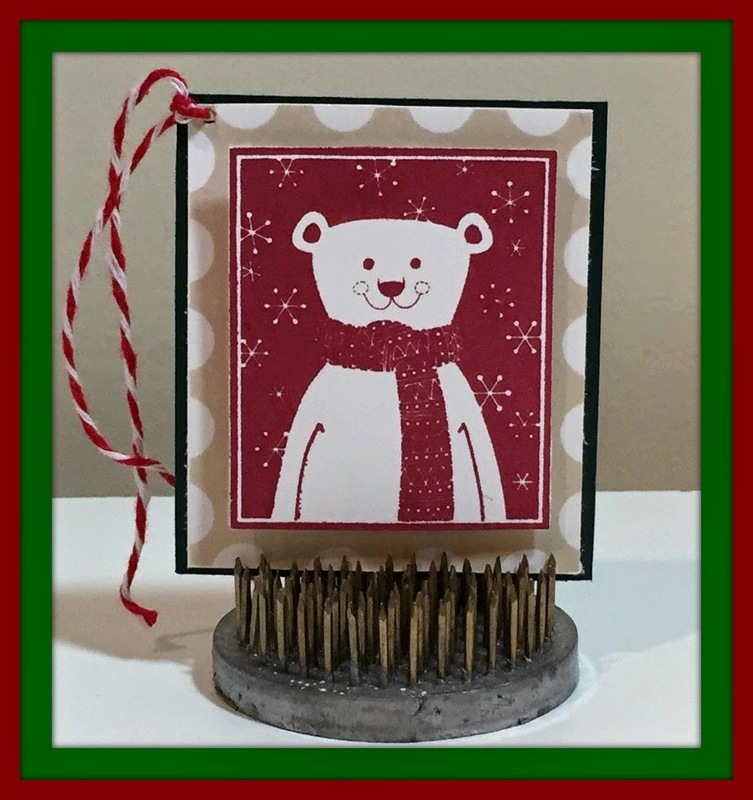 I used the October Stamp of the Month set...Home for the Holidays. You can pair this set with the Art Philosophy cartridge and it would cut all the tags out for you in their shapes. I went a different route though and cut the frame square so I could pop the polar bear up with dots to give him some dimension. Add a matching backing for stability - some twine for attaching to your package and you're done in a snap. One tip on this adorable polar bear though...use a light touch when you ink the stamp. His details are so small that if I put to much pressure on the pad his scarf, and background, were just a colored blog.